Foxhole Brewhouse…where to begin? Beer and Bowling! That was the spark that is now a flame. After being introduced to a… “dark” beer at our local bowling alley we were hooked. Our love of craft beer took off and soon that turned into homebreweing. Now that’s were the fun began! 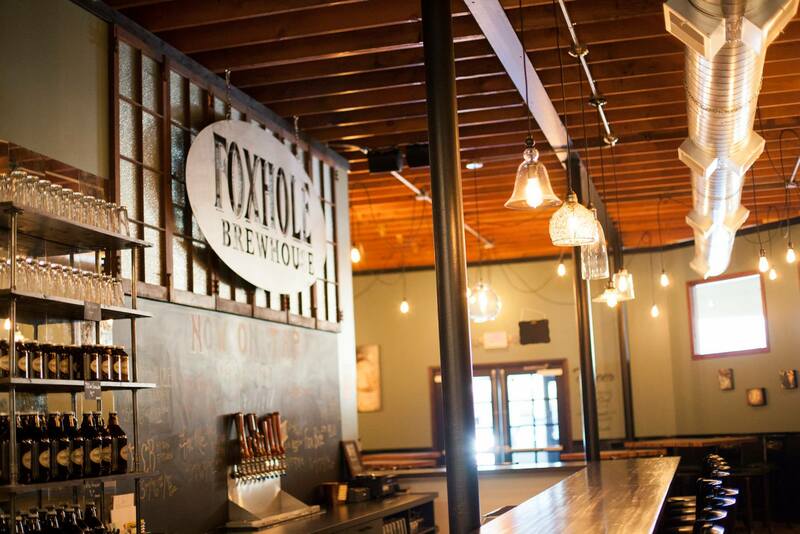 Two plus years of obsessive homebrewing (which is the only way Ryan works when he has a idea in his head) to a drive to learn about professional brewing brings us to the point…Foxhole Brewhouse. Why Foxhole? Well, our last name means Fox in German and Liv in all her “slyness” thought our home was our foxhole. We got a few good laughs, threw a few homebrew parties and it stuck. There hasn’t been a brewery in Willmar since 1899 and we think it’s time to bring it back with fresh, local, handcrafted beer! Not the fizzy yellow stuff massed produced and stripped of all the wonderful flavors that are meant to be in there. I mean small batch, flavorful and aromatic beer. Variety too, there are so many amazing varieties of beer that can be crafted we get excited thinking about brewing them for everyone to taste. Damn I’m thirsty…time to get brewing…see you soon! Copyright © 2019 Willmar Lakes Area Convention & Visitors Bureau. All Rights Reserved.